If you are a fan of Groupon, you should know that the nation’s most popular go-to site for good deals and discounts, is now consolidated under a single brand and will be known as Fave from now on. The integration will make Fave a huge favourite for all Malaysian online shoppers for sure, even thought Fave is already the No. 1 food and beverage app in the iOS App Store. After all, Fave will be inheriting Groupon’s steady base of customers, enabling the brand to serve over 3 million subscribers combined. 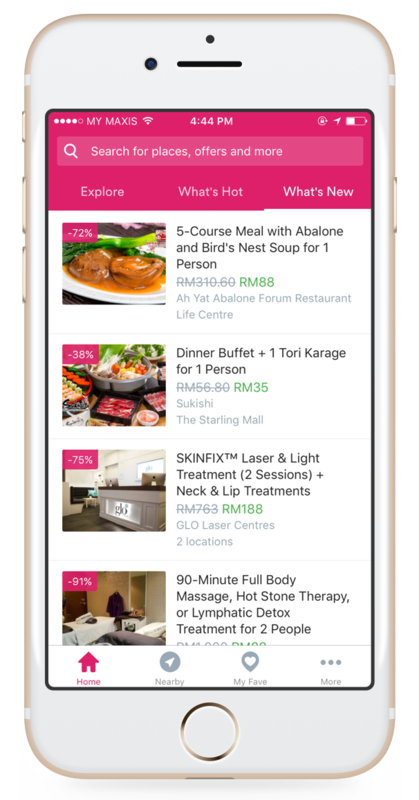 Log in to Fave, and you will be able to find many of the best deals from a variety of merchants including, Westin Hotel, Red Box, Le Méridien Hotel, La Juiceria, KL Tower Atmosphere 360, Kenny Rogers Roasters, Coliseum, Tutti Frutti, Outback Steakhouse, and Morganfield’s among others. Nationwide, Fave enlists over 2,000 local businesses including restaurants, spas, fitness centres, hotels and more. “Everyone loves a great meal, at a great deal. At Fave, we will continue to work with the best restaurants and beyond to extend more exciting and new offerings to consumers. Customers can not only buy a deal, but also pay the entire bill via Fave as they discover the city and save money at the same time. 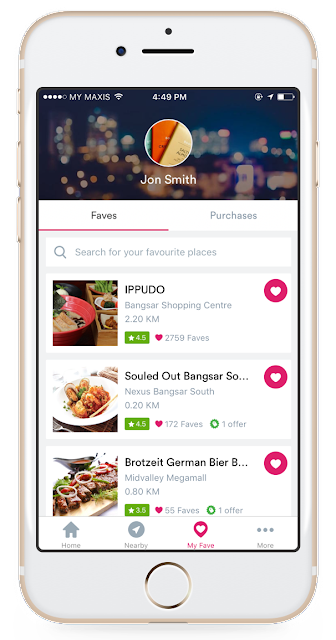 From family to couples, colleagues to friends, our aspiration is to make Fave their favourite app,” said Joel Neoh, Founder of Fave. The strategic move allows Fave to bring the best of both offerings together, while enabling a new service model in response to the changing customers’ lifestyle and needs, as well as the opportunity to help businesses succeed in mobile commerce. “It is more than just putting a new name to Groupon. 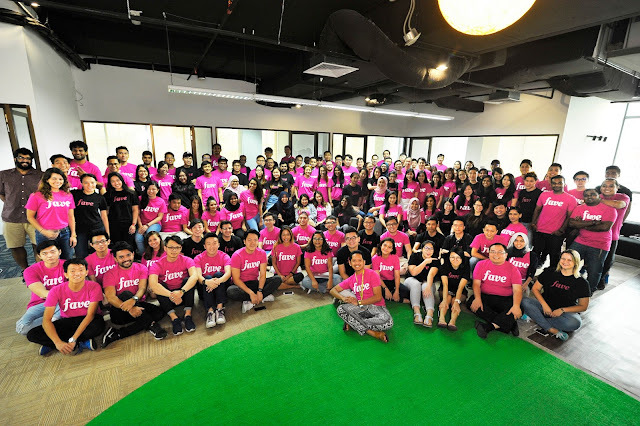 Fave is a homegrown brand developed and headquartered in Kuala Lumpur, and it is now used by millions of users and thousands of businesses across Southeast Asia including Jakarta and Singapore,” added Neoh. 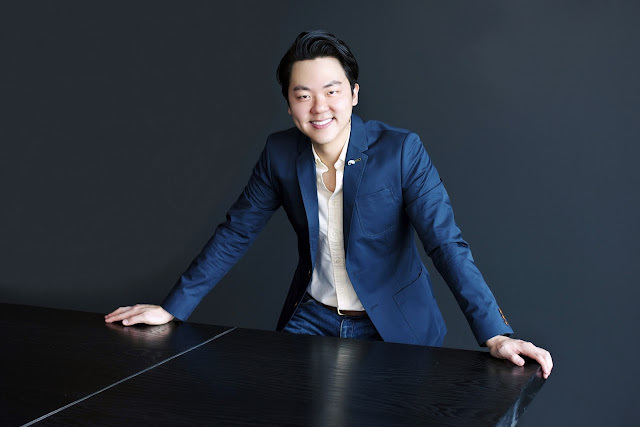 The consolidation into Fave follows the company’s acquisition of Groupon Malaysia in November 2016 to shape new prospects for online-to-offline (O2O) economy in Malaysia and across Southeast Asia. “Fave will be our engine to spur widespread adoption of mobile commerce. In the coming months, we will continue to focus on our progress in developing Fave and rolling out its full service capabilities,” said Neoh. The great news is... customers can immediately enjoy attractive deals and offers on Fave. If you have not shopped on Fave yet, you are entitled to an extra 15 percent discount on the first purchase by using the promotional code GOFAVE valid until 28th February 2017. Fave is available for free on the App Store and Google Play Store, and accessible online at www.myfave.com. It has been ages since I shopped at Groupon. Didn't even know of their rebranding till I read your post. Will try to make use of their discount!